Need Answers To Your Door Repair Questions? We’ve Got You Covered. You know the feeling…every day you have to open that &*%^!$# sliding door it just drives you crazy. Day in and day out the door just grinds and requires a small army just to move it a couple of feet. Did you realise you can get all your doors, whether it be sliding doors or even your door closers, repaired quickly and cost-effectively? 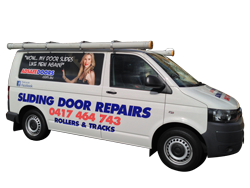 Adsafe Doors has been in the door repair business in Sydney since 1992 and we are the experts when it comes to any of your door repair problems. To help you along your way we’ve created a couple of very useful pages that you can browse through that will hopefully go a long way to getting you back on track (pardon the pun). Just click on any of the hyperlink’s below to be redirected to the appropriate page where we’ve answered all the commonly asked door repair questions.